When it comes down to it, home comfort requires more than just reliable heating oil or propane delivery. Choose a local energy provider that can provide the quality fuel you count on and professional services to match. Here at Ormond Energy we are pleased to offer North Carolina homeowners expert appliance installation and maintenance services to keep things at home running smoothly from season to season. 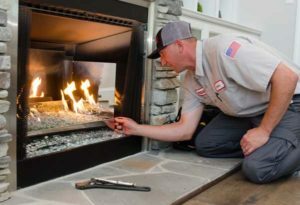 Our highly trained technicians are prepared to install a wide range of home appliances, including gas fireplace log sets, propane cooking stoves, and more. We will help you select the right make and model for your unique needs. 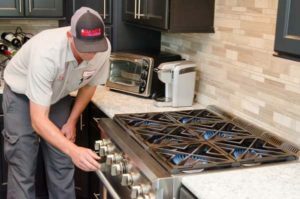 Once chosen, our team will install your new appliance quickly and efficiently. A job is never considered complete until the customer is 100% satisfied. Find the perfect appliance for your home at one of our convenient showrooms. Just like your car, it is important to have your home comfort equipment serviced regularly. One yearly visit from an Ormond Energy professional can improve operating efficiency, lower energy costs, and even extend equipment lifespan. Routine maintenance will reduce the likelihood of unexpected breakdowns, keeping day-to-day use uninterrupted. Visit one of our showrooms to browse equipment from top brands on the market. If you need to schedule your next service checkup, we’re just a call away!